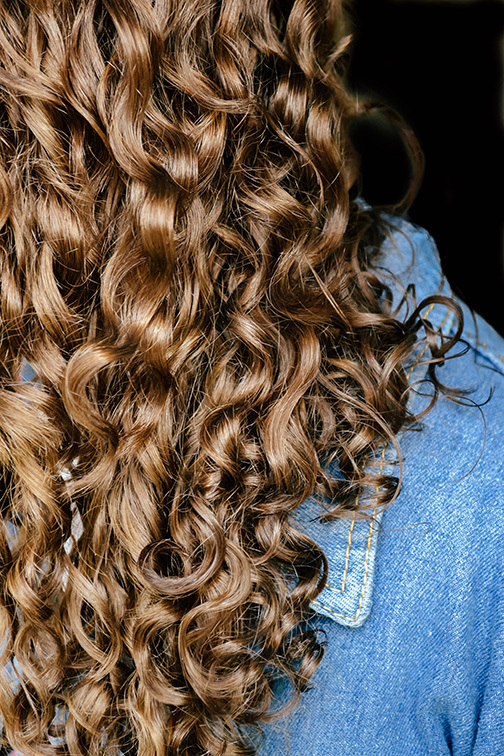 Nearly 45 percent of women have wavy or curly hair, and nearly 80 percent would wear their hair curly or wavy if they could choose their own hair. Most curly girls avoid going to the salon simply because they’re rarely happy with how their hair turns out and that is something I’d love to help you and your team change. Learn KC’s foolproof method of mastering curls behind the chair with creating your dream shape with curly hair. We talk about everything from wavy to super curly curls - discussing proper moisture, porosity, products and Kylie really strives to make sure you understand the importance of adding flowing layers without compromising length. We discuss how to effectively communicate with your curly hair guests so they know exactly what to expect. Let me help you and your team feel more confident behind the chair cutting textured hair and learning how to properly hydrate and style curls the way they should be. Classes are for licensed professionals and cosmetology students of all levels. Classes are typically 5 hours long with 2-3 models with different curl types. Learn how to communicate, cut, cleanse, style, and gain a loyal client for life. Admission is $100/person and non-refundable. Advanced master curly classes to be announced. KC trains Kansas City stylists on how to best style and take care of waves to ultra curly hair. Ready to book a class or want to request more info? I met Kylie 2 years ago after witnessing clients walking out of the salon day after day with magnificent curls! I fell in love with her work and stalked her! I couldn’t wait to sign up for one of her deva inspired classes. By the way... stylists, if you have an opportunity, do not pass this chance by! Hands down it was the best class I have ever attended and worth every penny! It’s a long class, however, Kylie’s passion for curls totally will engage you and make the time fly by. Kylie’s very professional, patient, and an amazing educator. She listens to her students and focuses on not only what you need but what you want more of. I learned how to properly have consultations, product knowledge, cutting techniques for different curl patterns, shampooing (or should I say No Poo), and how to style! My favorite was how to cut the curls and styling. I use to cut my curly clients wet... WRONG! Now I cut them dry; curl by curl. And before I’d want my clients to leave wet because their curls would look their best. Kylie showed me how to mimic the wet curl. I wasn’t using the right products or enough. She taught me how to create a curl cast and how to break it up to crest the soft touchable curls. It was like magic. I’m loving my curly girls and their transformation. I could go on and on with my new deva curl education but instead I’ll just strongly recommend her class! I had the privilege to attend a Deva Curl Cutting class by Kylie last August. Her class was very informative. You can tell she is very knowledgeable about curly hair and takes great pride in sharing that knowledge with others. She had 3-4 models, each with varying types of curl patterns to demonstrate the difference in cutting and styling curls from scalp to scalp. Her use of actual models, instead of relying on pictures and unrealistic mannequin heads, was extremely helpful. I’ve attended another Deva Curl class, not by Kylie, that did just that and it wasn’t very helpful. Everyone also got a nice little goodie bag with Deva Styling products and samples.